The Grand Prix of the 2017 British GT season took place in Donington Park this weekend. Forever determined PMW Expo Racing/Optimum Motorsport’s racing veterans Graham Johnson and Mike Robinson have become the race champions, bringing home their first British GT4 victory of the season. However, the names on everyone’s lips are those of HHC Motorsport’ Will Tregurtha ad Stuart Middleton, the two young drivers, took home two major prizes, this year’s Drivers’ and Teams’ crowns. Showing great performances throughout the year and lingering in the top spots throughout the competition, the duo have also made history by becoming the youngest drivers ever to win a British GT title. Between each other they add up to 35 years and 160 days, this is just 160 days below the 2015 title holders Jamie Chadwick and Ross Gunn who added up to 35 years and 320 days. The two 17 year olds headed to Donington Park with a very comfortable 25 point lead over their greatest rivals, Lanan Racing’s David Pittard and Alex Reed. However, the latter two had an unfortunate end to their efforts in the early stages of the two hour enduro, allowing the rookies to keep their advantage and confirm their title. Century Motorsport’s Jacob Mathiassen and Niall Murray showed some great performance and completed the podium after starting 13th. 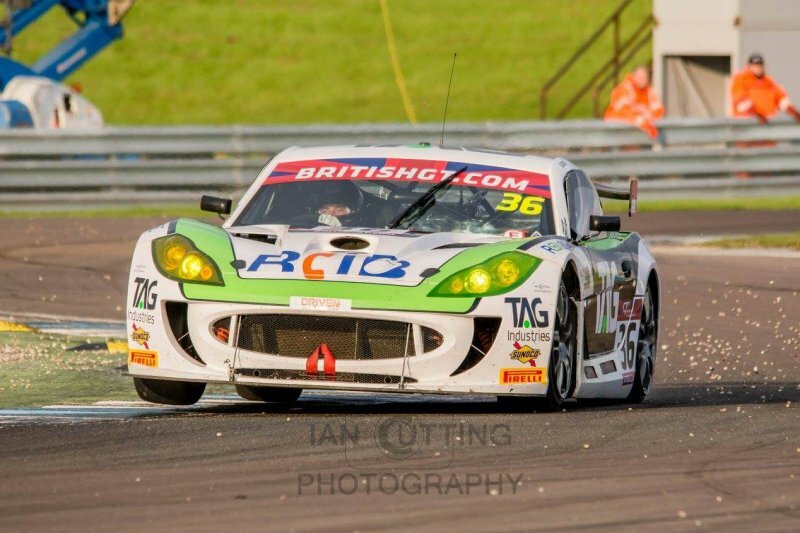 The second place in the final race of the 2017 British GT was enough to reward Tregurtha and Middleton with their third title in a form of this year’s Silver Cup crown. Johnson and Robinson’s victorious last performance handed them the Pro-Am championship award. Not all teams had the same amount of luck, it was an unfortunate day for UltraTek Racing who saw both its cars retire. Although their impressive efforts in repairing and rebuilding Tim Eakin and Kelvin Fletcher’s Nissan 370Z throughout the night, following a hefty shunt in qualifying, earned them the PMW Expo Team of the Weekend Award. The British GT Championship will return for the start of its 26th campaign on Easter Bank Holiday Weekend – that’s March 31-April 2 – next year at Oulton Park .